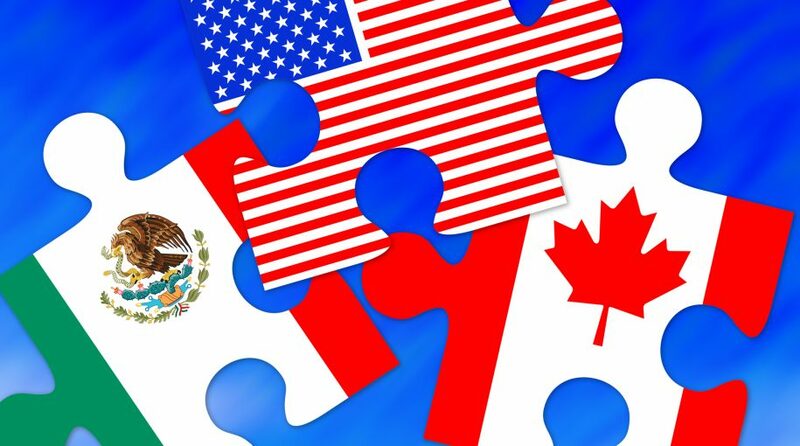 The Dow Jones Industrial Average climbed by over 250 points on news that the United States and Canada reached an agreement on a revamped North American Free Trade Agreement, which will be called the United States-Mexico-Canada Agreement. With an initial trade deadline set for August 31 that extended beyond that date, Canada’s top trade negotiator Chrystia Freeland said a deal has not yet been reached to revamp the NAFTA agreement between the U.S. and Canada. Earlier that same week, the U.S. struck a deal with Mexico to effectively eliminate the NAFTA name and create the United States-Mexico Trade agreement. In addition to the Dow, the Nasdaq Composite a jumped over 40 points and the S&P 500 was up 20 points as of 11:00 a.m. ET. The deal struck with all three nations would allow for more market access to U.S. dairy farmers with Canada capping automobile exports to the U.S.. The U.S., Mexico and now Canada are expected to sign the agreement by the end of November, which would then go to Congress.